After registering highest- ever domestic volume of 50,016 units sold in India in October, 2016. 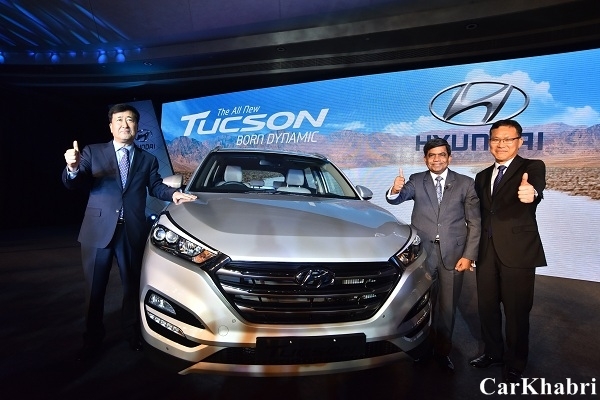 Hyundai Motor India Limited the Indian alliance of Korean car maker Hyundai Motors has introduced its Global SUV ‘The All New Tucson – Born Dynamic’ in India with starting price from Rs. 18.99 Lakh to Rs. 24.99 Lakh (ex-showroom, New Delhi). Under the hood, all new Tucson is powered by options of two engines, i.e. 2.0 Nu Dual VTVT Petrol engine and 2.0 Re-VGT Diesel engine. The 2.0 Nu Dual VTVT Petrol unit generates the power of 153 bhp and peak torque of 192 Nm whereas 2.0 Re-VGT Diesel unit churns the power of 182bhp and maximum torque of 400 Nm. Both the engines will be equipped with an option of 6 Speed Manual & 6 speed Automatic Transmission System. The Automatic Transmission system will feature three driving modes i.e., Normal, Eco and Sport. 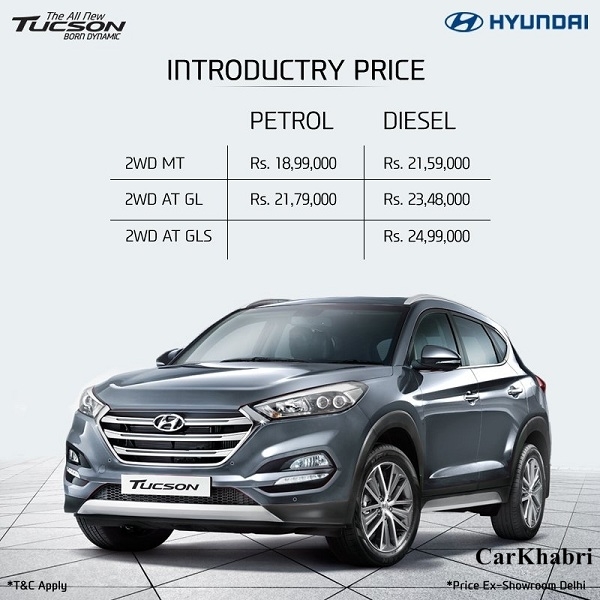 In its third generation, Tucson SUV is a true expression of Hyundai’s Fluidic Sculpture 2.0 Design Philosophy and measures 4475 mm in length, 1850mm in width, and 1660mm in height and comes with wheelbase of 2670mm. 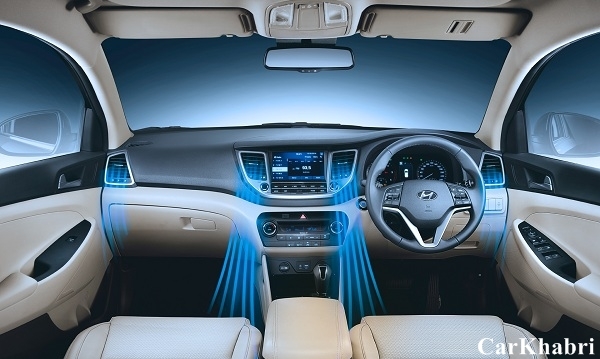 At front SUV features Hyundai signature Hexagonal front grille, which connects with the Dual Barrel LED headlamps to create a distinctive identity, Fog Lamps with LED DRL, Twin Chrome Exhaust, Chrome Door Handle with Pocket Lighting, Sporty Spoiler with LED Stop Lamp. Inside the cabin, new Tucson features well organized horizontal dashboard conveys a premium feel with well thought out placement of controls to ensure maximum comfort and pleasurable drive, Smart Key & Push Button Start, Hands Free Smart Power Tail Gate with Height Adjustment, Tilt & Telescopic Steering, Electric Parking Brake, 8.0 HD Touchscreen Audio Video Navigation System with Apple Car Play and Android Auto connectivity with voice recognition, 60:40 Split Rear Seat with Reclining Function and many more. In terms of safety features, SUV comes with 6 Airbags, ABS with EBD, 3 Point ELR Seatbelt, Electric Parking Brake and Speed Sensing Auto Door Lock as standard, whereas top end variants features Reverse Parking Camera with Steering Adaptive Guidelines, Downhill Brake control, Hill-start Assist Control and etc.